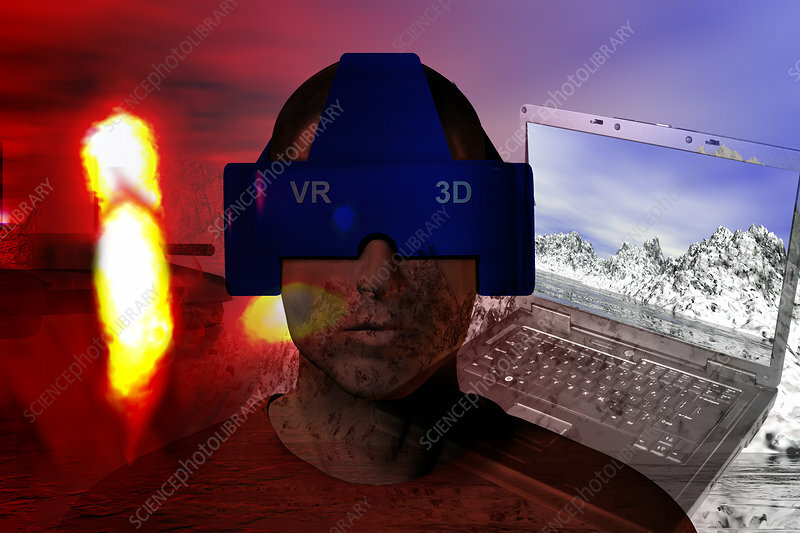 Virtual reality therapy, conceptual image. One form of treatment for anxiety or post-traumatic stress disorders is to have patients imagine a scene that makes them feel calm. Some researchers believe that virtual reality can make this process easier.